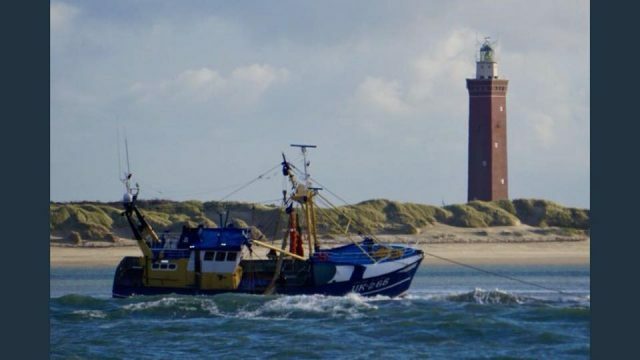 The 24 meter long fishing vessel Jacoba Aleida UK-266 ran aground off Ouddorp, Netherlands. 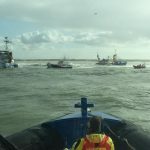 The KNRM lifeboat from Ouddorp was dispatched to the scene. 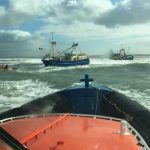 The lifeboat attempted to refloat the Jacoba Aleida, but the fishing vessel remained stuck. Another lifeboat arrived and also attempted to refloat the Jacoba Aleida without success. 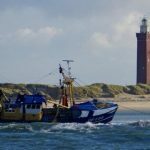 Another fishing vessel also attempted to pull the Jacoba Aleida free, but the fishing vessel continued to be stuck in the pounding surf. Finally, a tug was requested and it was able to pull the Jacoba Aleida free on the rising tide. No reports of injuries. The tug towed the Jacoba Aleida to Stellendam. 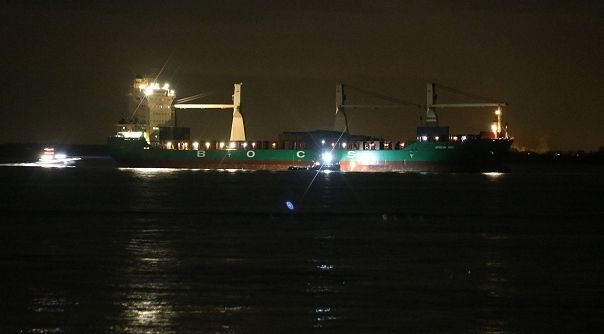 The 166 meter long cargo vessel African Wind became disabled off Flushing, Netherlands. 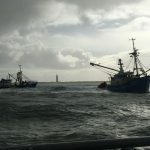 The African Wind was headed for Antwerp coming from La Rochelle when it suffered engine failure. Tugs were dispatched to the scene to assist. An hour later, the crew was able to restore power and continue on with its voyage. No reports of injuries, damage or pollution released.